Popa Chubby's Electric Version of "Route 66"
Dang, that burns down the road, don't it? My only complaint is that the singer mangles "Kingman" just like so many other singers (Mick Jagger sings "Bixlow"). See you at the Powerhouse Museum this afternoon. And then out at the Diamond Bar on Saturday for the Duncan reunion. 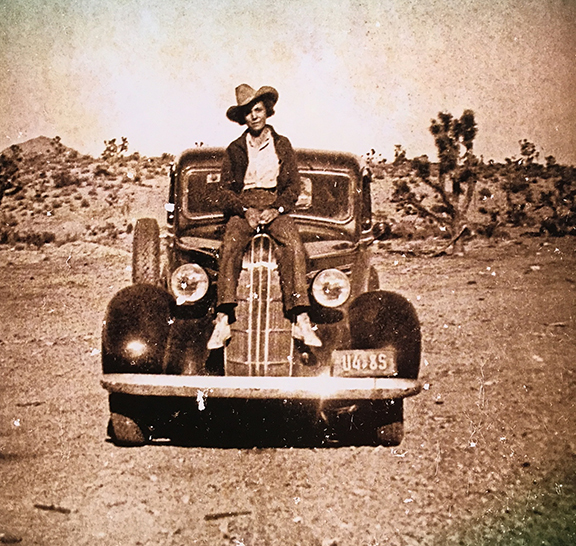 "I grew up with half the outlaws in Mohave County and I'm related to the other half." Heading home tomorrow for a weekend of special gigs. First up, a book signing at the Powerhouse Museum in downtown Kingman, where I will be signing copies of "The 66 Kid" along with my longtime compadre and art pardner, Dan The Man Harshberger. 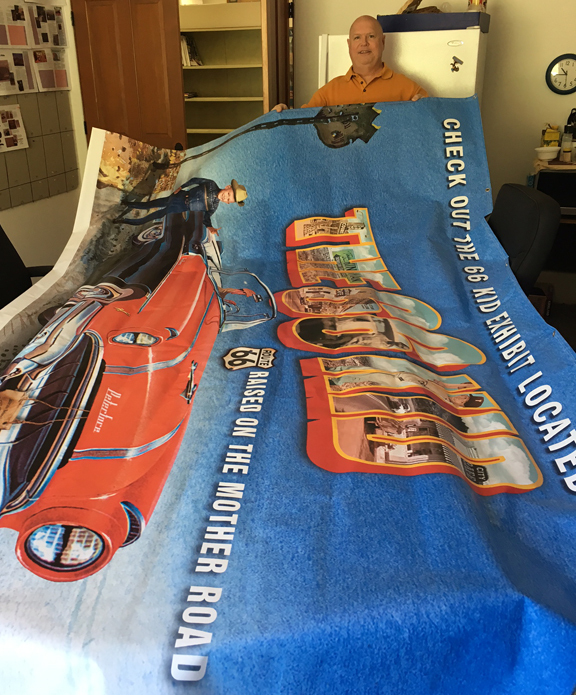 Thanks to Robert Ray and JC Printing we will be unveiling a huge 10' banner to plug the "66 Kid Exhibit" upstairs in the museum. 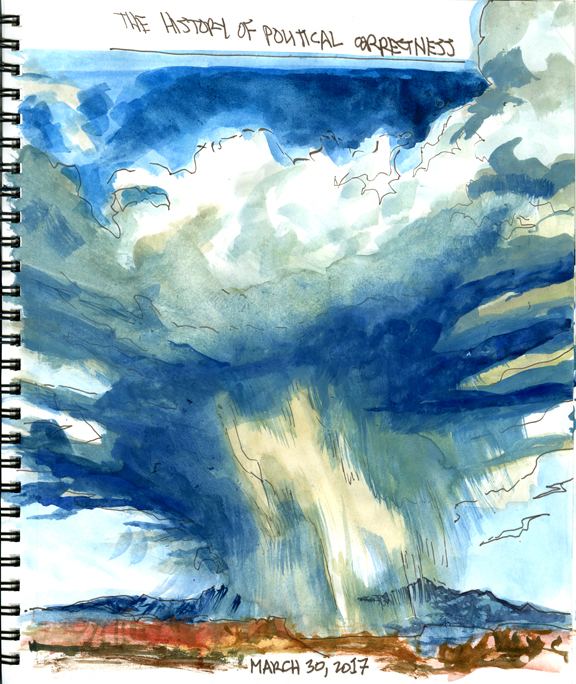 Daily Whip Out: "Joanie Legg's Hualapai Cloudburst"
The note at the top is a reminder to do a future blog post on a subject that is sure to please no one, but myself. Ha. Daily Whip Out: "'Black Jack' Ketchum"
"If you monkeyed with Tap Duncan you were monkeying with a rattlesnake." 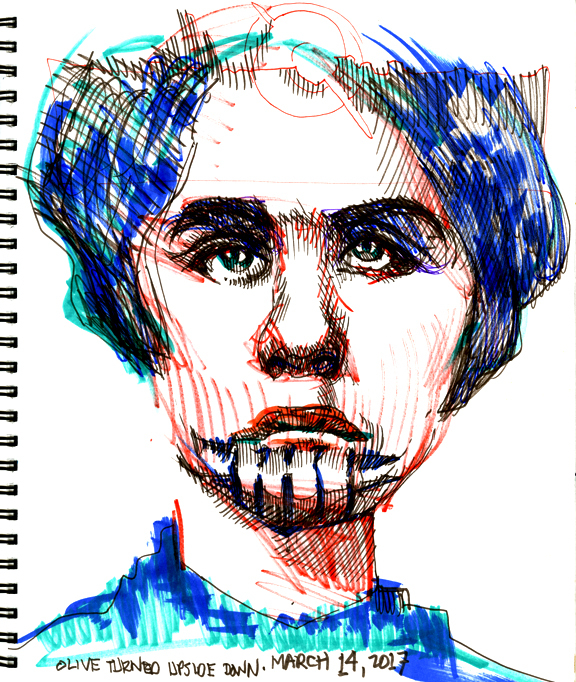 It didn't hurt that Olive Oatman was a gothic beauty. Add to that her dual citizenship as a Mormon and a Mojave and you have a brooding intensity that blindsided and captured everyone who came to see her. Daily Whip Out: "Olive Turned Upside Down"
"The Mojaves were terrific mimics who loved a good tease and a bawdy joke; almost every description of them before their reservation days mentions their laughter, and they were considered 'notoriously outspoken and uninhibited.'" —Margot Mifflin, "The Blue Tattoo: The Life of Olive Oatman"
What happens when a Mormon girl gets thrown into the free wheeling, uninhibited world of the Mojaves? 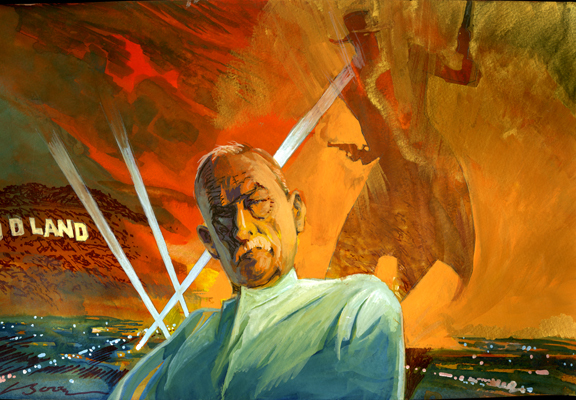 "I shall not be taken by these miserable brutes. I will fight as long as I can, and if I see that I am about to be taken, I will kill myself." "Have the white and Indian parts inside you found a way to make their peace?" Daily Whip Out: "Irataba sketches"
Moss was a very successful prospector along the Colorado River and found the rich silver lodes at El Dorado Canyon, north of Fort Mojave. He also discovered the Moss Mine, about 9 miles north of Fort Mojave and then later organized the Wauba Yuma Mining District in the Hualapai Mountains, named after his friend, the Hualapai chief Wauba Yuma. 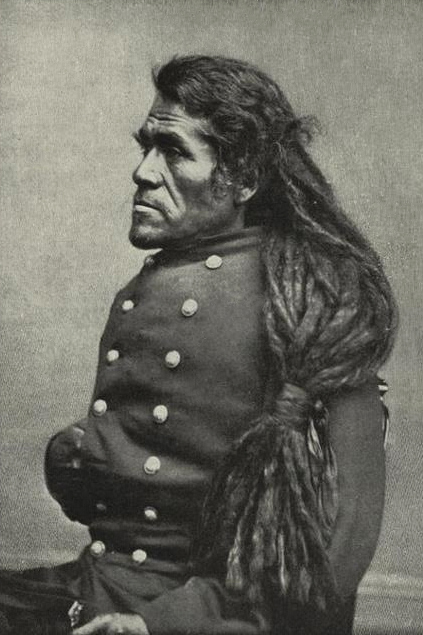 Moss wanted to be the Indian agent for the Mojaves, so he cooked up the trip to Washington with Irataba, and they went via Panama and allegedly Irataba met President Lincoln in the White House and the massive Mojave later ran into Olive Oatman, who came down from northern New York where she was then living. What they talked about is quite interesting. What she didn't report about their talk (which they carried out in the Mojave language) is the bigger story I am after. Check out those dreadlocks! The newspapers called him "The Big Injun." And that he was, in more ways than one. Olive traveled by train from upstate New York and met the chief at the Metropolitan Hotel in Manhattan. "We met as friends giving the left hand in friendship, which is held as a sacred pledge, among some tribes." 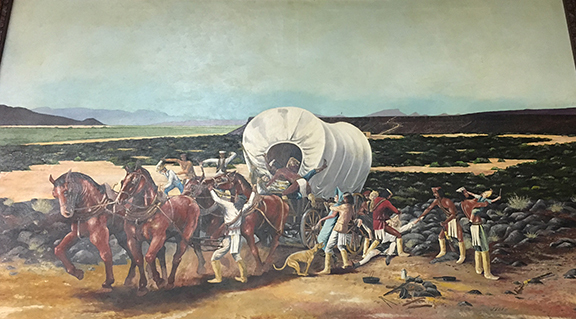 The Great Western, Sarah Bowman, had a "beanery" on the Gila Trail across the river from For Yuma. 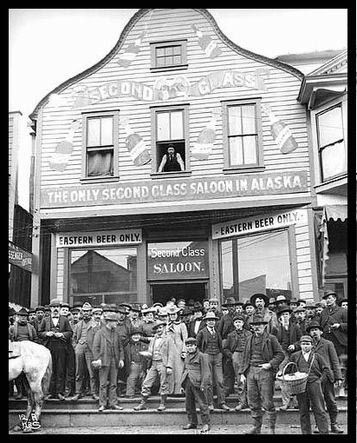 The store/restaurant/brothel catered to the soldiers and the mass of humanity heading to California that were sometimes lined up for miles waiting to use the ferry (see at center of river to the right of the big "C"). 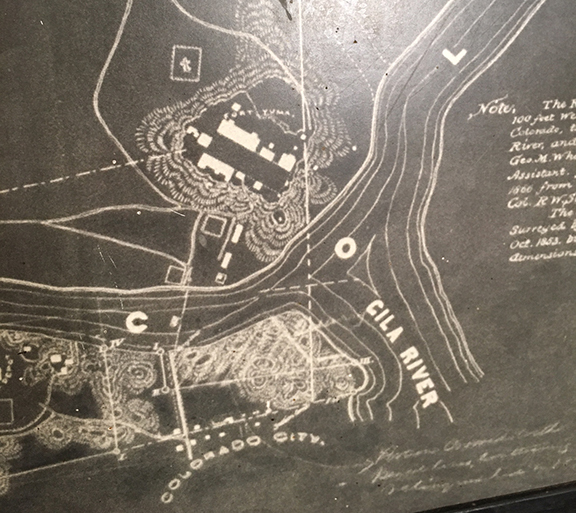 Her business was one of the buildings shown at the bottom of this period map, where it says "Colorado City," the original name for Yuma. Since it was the first building in the fledgling town, I am guessing it was the top left square, to the left of the main road leading to the ferry? Anybody know? 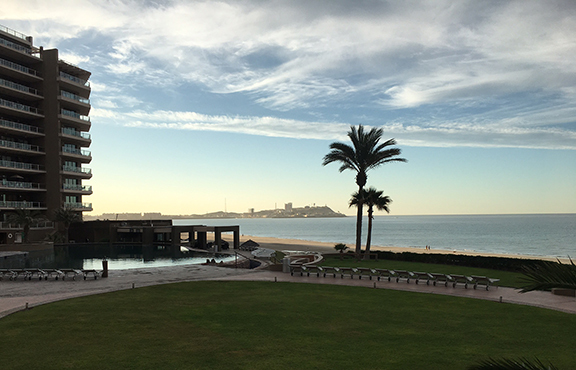 I've lived long enough to see Sandy Beach at Puerto Penasco (Rocky Point), Mexico, go from zero buildings in the 1970s to high rises sprouting up on almost every single inch along the beachfront. 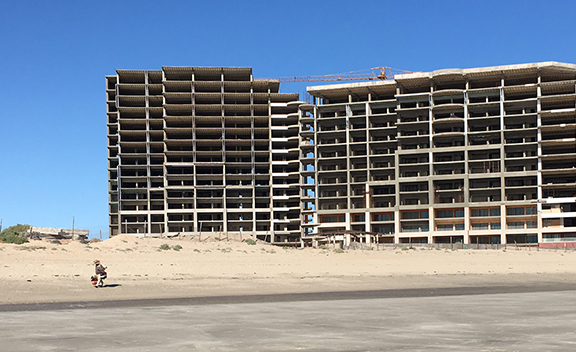 Here's a new series of units going up next door to a resort called Las Palomas, as an old vendor, a dying breed, makes his way along the beach. The view out our front door. Reading three Oatman massacre books and comparing. Too lazy to find a quote. "Really? You can't just make something up, Pendejo?" After visiting the site of the Oatman massacre on Sunday we drove on to Yuma, which was the Oatman family's Edenesque goal. Although Royce Oatman didn't live to see the place he dreamed of, several families, also followers of the Boy Prophet Brewster (called Brewsterites), arrived at the rugged river crossing and were deeply disappointed as the country seemed not only unhospitable but worthless in terms of farming. The irony is that sixty years after their tragically failed mission, the area actually became the agricultural Eden they sought when the reverse syphon project (an underground tunnel diverting Colorado River water into a vast irrigation system) championed by Teddy Roosevelt turned the harsh landscape into a virtual breadbasket of the country (reportedly, 90% of wintertime vegetables sold in the U.S. come from here). 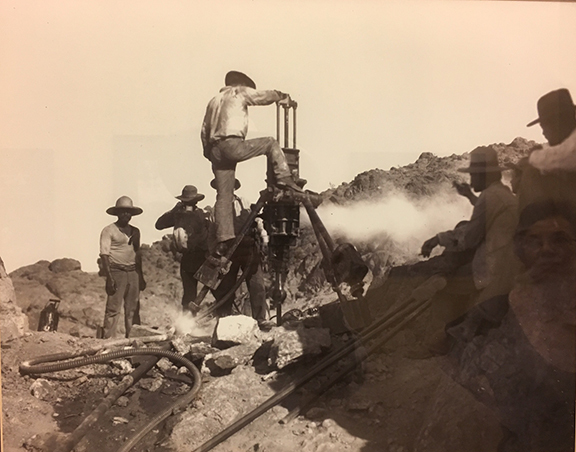 Here is a photo from the Quartermaster Museum of a steam powered jackhammer facilitating that desert miracle. A steam powered jackhammer facilitates the reverse-syphon system of irrigation in Yuma. "Everything comes to the person who is patient." Kathy and I drove out to the massacre site yesterday—two and a half hours—and it finally makes sense to me. Those weird bluffs in all the drawings of the Oatman family massacre seemed so odd to me, but now I get it. They all must have thought they were entering hell. 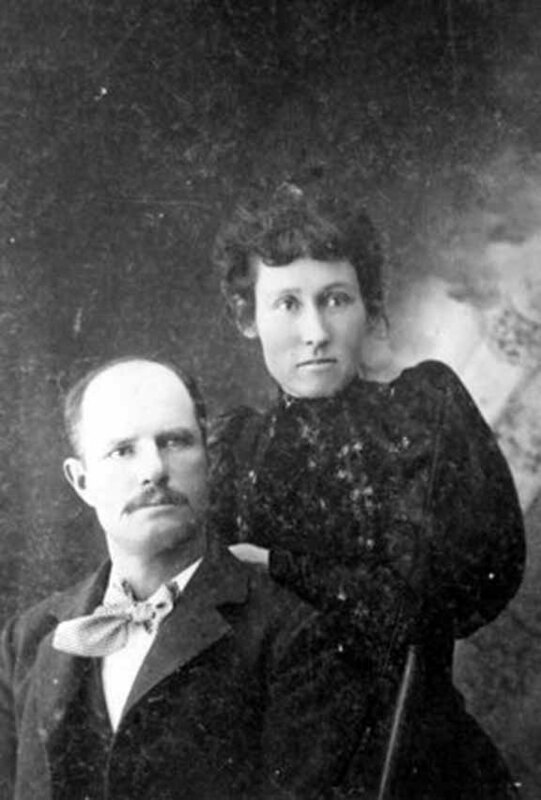 The Oatmans were members of a Mormon sect that broke off from the Brigham Young faction after Joseph Smith's murder. Their leader, "The Boy Prophet" told of an Eden-type place at the confluence of the Gila and Colorado Rivers. 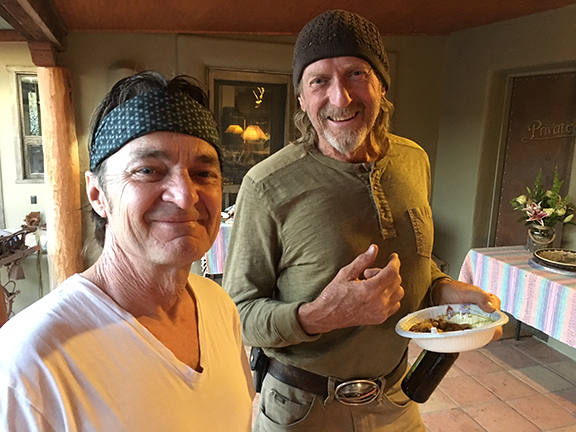 Cantankerous and argumentative in their zeal, the group broke up and splintered on their Westward journey with some members dropping off near Socorro, New Mexico and others dropping off elsewhere. By the time the Oatman wagon train reached Maricopa Wells, southeast of present day Phoenix, there were only three families left. Two of those decided to stay in the In-din village (one of the wives was about to give birth). Royce Oatman decided to push on even though his own wife was 9 months pregnant. 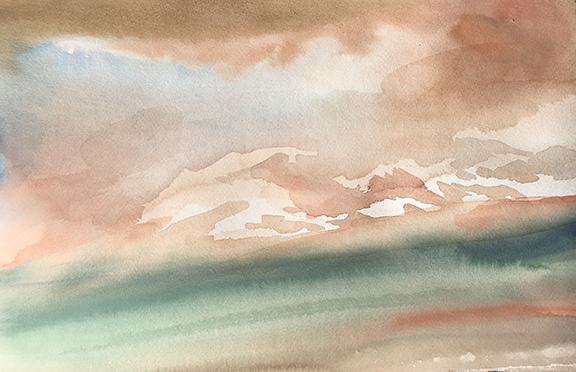 Plunging westward into rough country, ringed by blackened bluffs and lava scarred ridges, they must have thought they had entered the gates of hell, and in a fevered, strange way, they were. to the north of the Oatman massacre site. 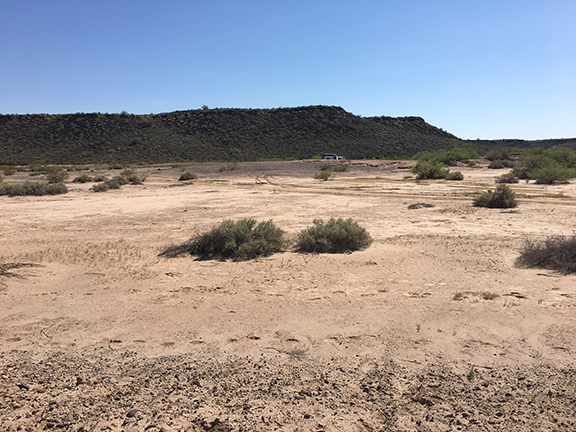 Today the mighty Gila River is dry, but in 1851, the Oatmans had to cross the surging river at this point, below, and, in fact, could not make it across and had to spend the night on an island in the middle of the channel. 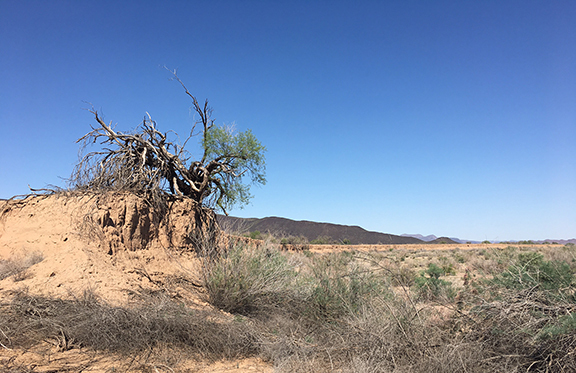 A dead tree on the banks of the dry Gila River where the Oatmans probably crossed. The artist got the lava beds right. 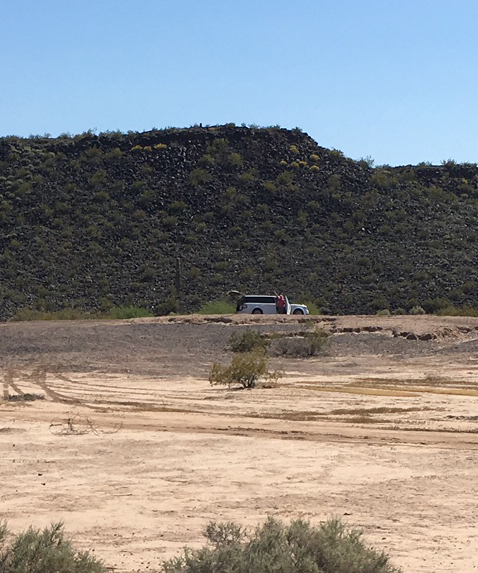 The Oatman wagon was actually pulled by oxen and they were on top of the lava laden bluffs when Royce and his son Lorenzo saw two In-dins walking towards them on the road. They spoke in Spanish and professed friendship. Perhaps, "Hola, amigos. Como estas?" It gives a weirdness to the event. We have been conditioned by movies to think of an attack as coming in a rush of aggression, usually on horseback, accompanied by a rain of arrows. Here we have some dudes walking up the road feigning innocence. were traversing when things went south. 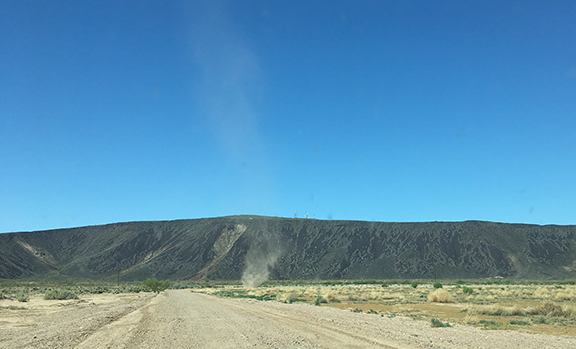 Frankly, even though I was in phone contact with Vince Murray, someone who has been to the site, we couldn't find the monument or the graves, even though our GPS said "you have arrived at your destination." A blow-up of the previous panorama, showing our car and Kathy waving. Royce Oatman wrote a letter to the commander at Fort Yuma to help him on February 15, 1851, "at camp on the Hela (sic) River." This was three days before the attack. Ultimately Major Heintzeiman did not send anyone out because the Oatmans were massacred on the south side of the Gila River, which, at that time, was in Mexico. 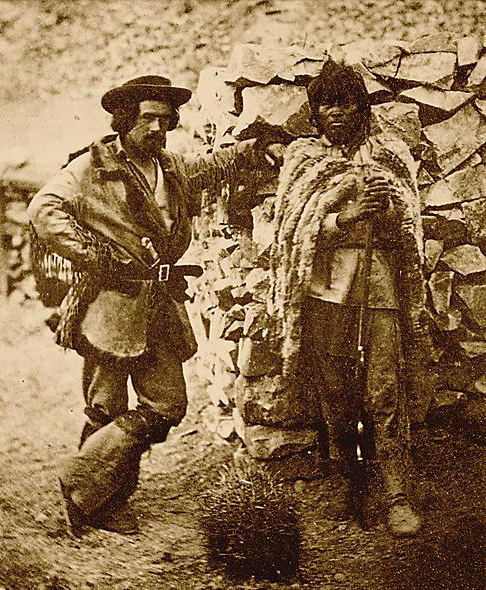 I always thought that after the murders, the group of In-dins headed east and north from the Gila (everyone assumed it was Tonto Apaches), but new research indicates they went back west, retracing their route, some say all the way to Agua Caliente, which is quite a hike. We drove it and out in the middle of nowhere we saw a street sign, for "555th Ave." which is apparently the Phoenix numbering system of Avenues which run westward from Central Ave. My mother-in-law, Betty Radina, lives off of 51st ave, which is some 15 miles from Central. Crazy to see that sign out there in the middle of nowhere. But not half as crazy as it must have been for two little girls. "We were started and kept upon a rapid pace for several hours. One of the Indians takes the lead, Mary Ann and myself follow, bareheaded and shoeless, the Indians having taken off our shoes and head covering." Got a debate going on here regarding mules or horses. This is a wonderful photo of Custer's scouts, including California Joe, on the right. The caption on the photo (from the original archives) says they are on "mules," but that paint, at left doesn't look like a mule to Deb Kidwell (our mule expert) and even the second one is debatable. What do you think? Here's where we are on the jackass front. Originally, for our May issue, I had the bright idea to lean on the word—Jackass!—with a vengeance. 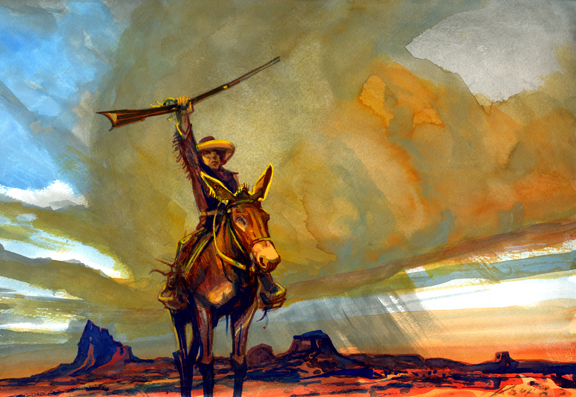 After all, we were covering mules and donkeys in the Old West and the word is completely legit in this context. We had Deb Kidwell's byline on the cover as "The Jackass Lady" (full disclosure: Deb herself prefers this moniker) and I had my editorial titled, "Jackass Nation." Plus, the original title of the feature was "The History of Mules And The Jackasses Who Love Them." 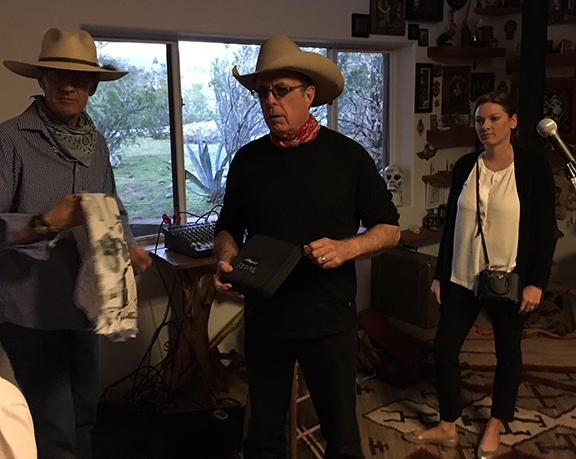 About a week ago, my partner, Ken Amorosano, took me aside and said, "I know you are enamored with the word 'jackass' but the folks in Bishop, California have named you the grand marshal of this year's parade and I'm not so sure they are going to appreciate this?'" I thought about it for a moment, and then said, "Good point, jackass!" Seriously, Ken suggested I run this by them. So I sent a query to some of the fine people in Bishop who will be hosting me over the Memorial Day weekend and more than a few saw the humor in what I was trying to do, but this is the response that impacted me: "I do not think the word jackass on the front cover of your prestigious publication will be well received by the population of subscribers of whom the majority are most likely uneducated about the mule and donkey." 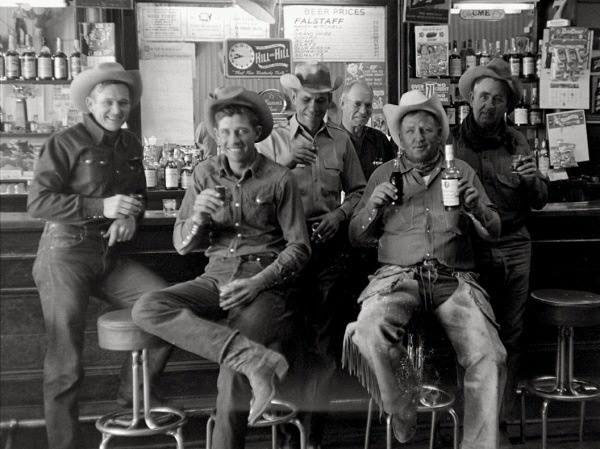 Daily Whip Out: "A Jackass At Midnite"
Got a bit of a controversy going here at the True West World Headquarters. 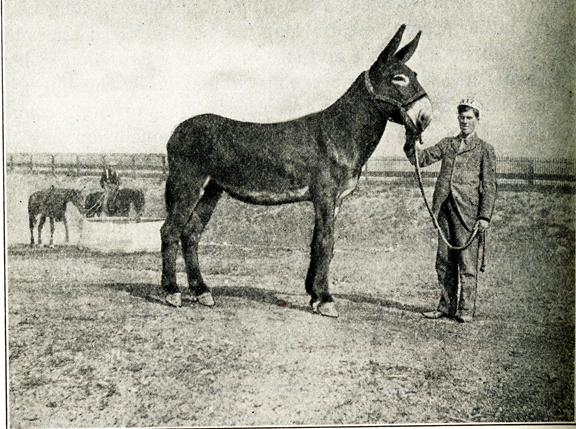 We have a big, 12-page feature on the history of mules going to press tomorrow and I wanted to use the title, "The History of Mules And The Jackasses Who Love Them," but several on the staff think the usage of the term jackass, in this connotation could be seen as too offensive, or disrespectful. I personally think it works on two levels: You get a mule when a jackass makes love to a mare, so, "the jackasses who love them" is especially accurate since fathers love their sons. 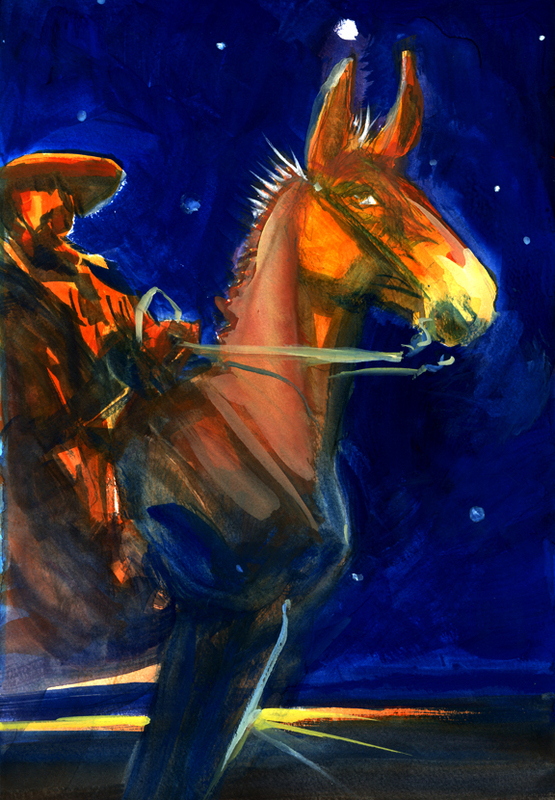 Then when you factor in all the crazy people in history who rode mules, from Alexander the Great, to Napoleon, Santa Anna, Buffalo Will, Wild Bill, not to mention Butch Cassidy and The Sundance Kid, you could safely say they were characters—okay, jackasses—who loved mules. 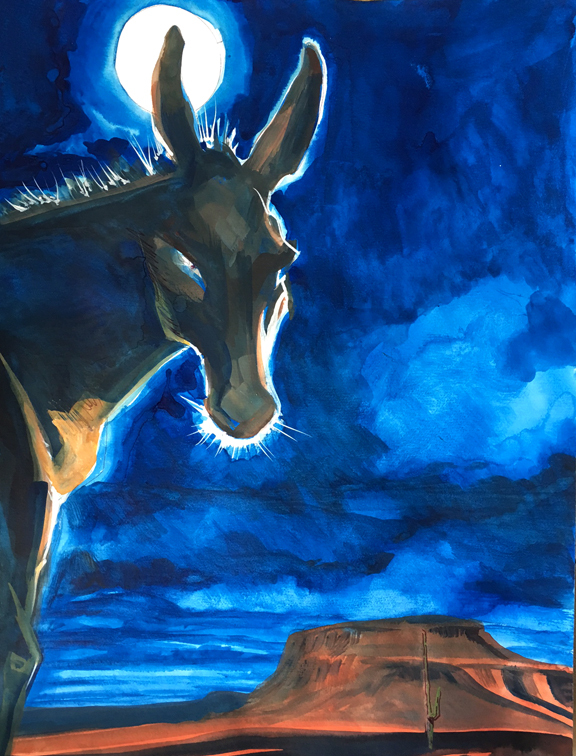 Hey, I love mules and in this regard I am not ashamed to say I'm a bit of a jackass on the subject. Six Gold Rush Jackasses And A Mule. Anyway, what do you think? Too negative? Too disrespectful? Besieged and befuddled editors want to know. "He has had to plod and work through life against the prejudices of the ignorant." There is a very funny Mexican comedian who we had on our radio show (Jones, Boze & Jeanne, Young Buck 105.9 FM) back in the nineties. He grew up in Tucson and had a funny bit where he channeled a Chica who runs into some white girls she actually knows, but only casually. On the mean streets of Tucson her challenge to them is hilarious: "You talkin' to me like you know me?" It's just so obtuse and ridiculous, yet accurate. This crazy, signature challenge has entered our family's lingo and we often drop this line as a greeting. Update: Okay, I emailed Jeanne Sedello and she remembered. The comedian's name is Pablo Francisco. Somehow, I channeled this sentiment to a mule. As you know, mules can be, well, surly and obstinate. "The art of creativity is remembering the line, but forgetting who said it." 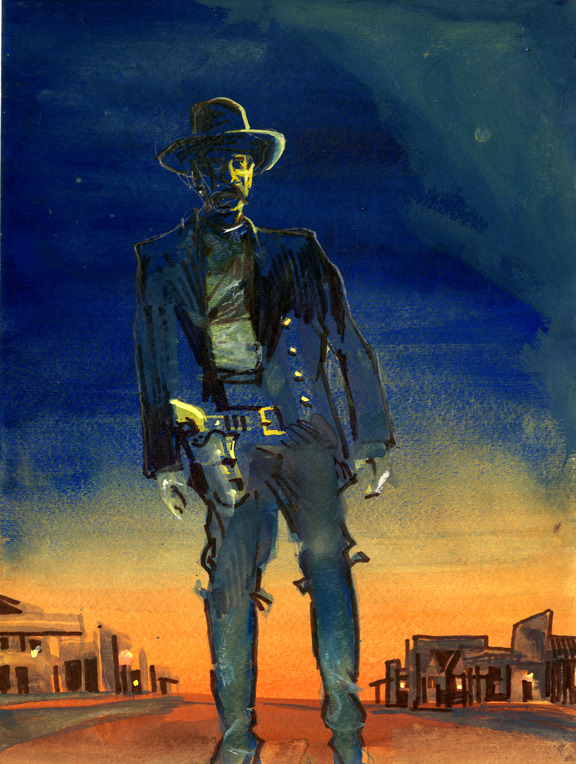 Daily Whip Out: "Wyatt In Hollywood: The Last Outlaw Town"
I thought this concept was going to be a book and a documentary, but, in spite of a cover story, it has never gained traction and so, here we are, over a year later and the idea is just that, an idea. Meanwhile, back in 1977, I whipped this out with little or no intention other than to be be a little risque. Daily Whip Out: "Honkytonk Sue: The Queen of Country Swing"
And the next thing you know, I had an agent at William Morris and a deal at Columbia Pictures with Larry McMurtry writing a script for Goldie Hawn. So what's the diff? I think Mo knows. "You don't give people what they want. You give them what they don't yet know they want." Went home for lunch and had fun. 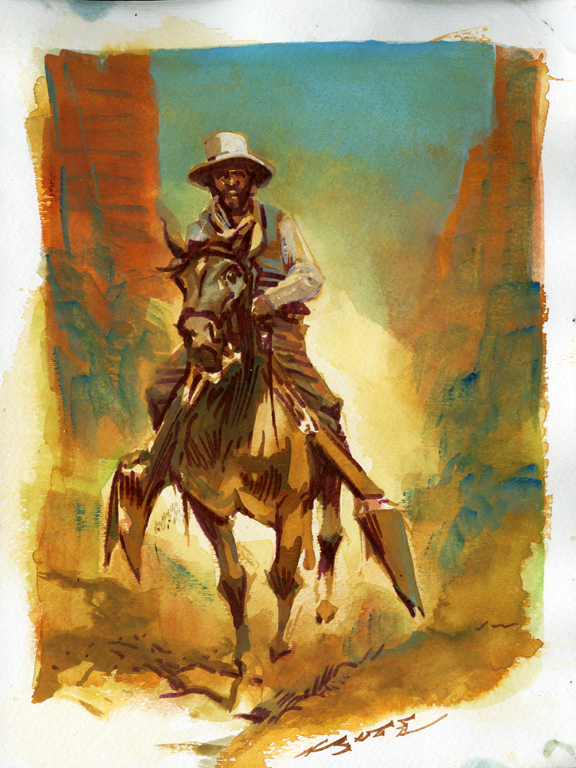 Daily Whip Out: "That Jack Advanced Thru The Dust Like A Ghost"
"Sometimes the magic works and sometimes it doesn't"
—Chief Dan George, as Old Lodge Skins, "Little Big Man"
Worked most of the morning on a spot piece for our big mule package in May. Daily Whip Out: "Donkey Dynamite"
In 1890, the Norwegian explorer Carl Lumholtz was traversing the Sierra Madres in Mexico, when he heard a noise above him on the switchbacks. 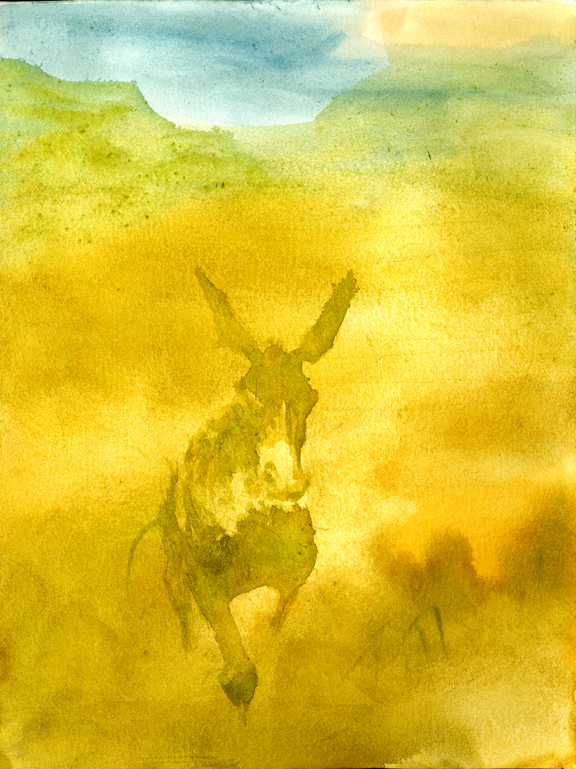 He looked up to see a donkey with its pack on come hurtling past him, "turning over and over with astounding speed." 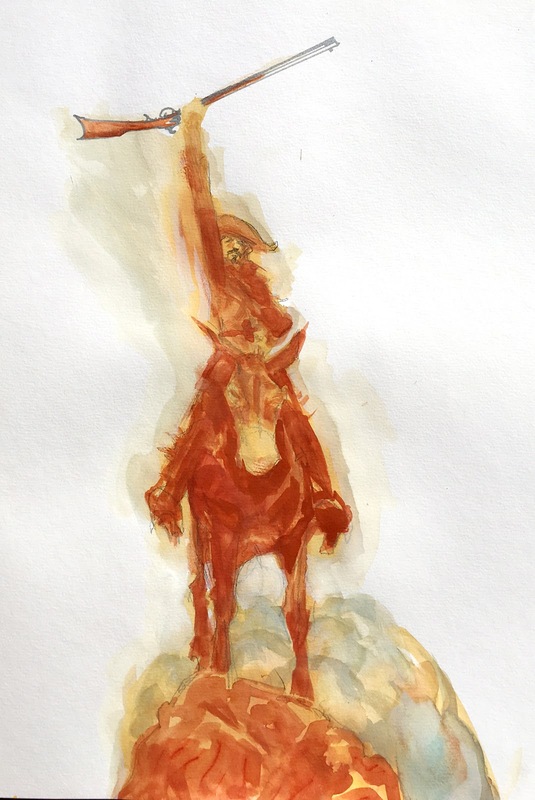 The donkey sailed over his head and down to a pillar of rock below him. The donkey hit the base of the pillar, then rolled over twice before coming to a halt. It then got up in the midst of its scattered cargo, which turned out to be dynamite! Two of the Mexican packers scrambled down the slope, replaced the dynamite on the shaken but perfectly fine little donkey and led it up the trail where it pushed on "as coolly as if nothing had happened." 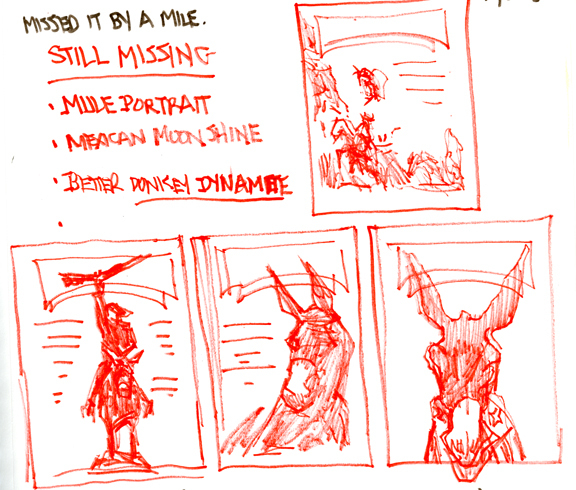 Mules on the brain, I remain. 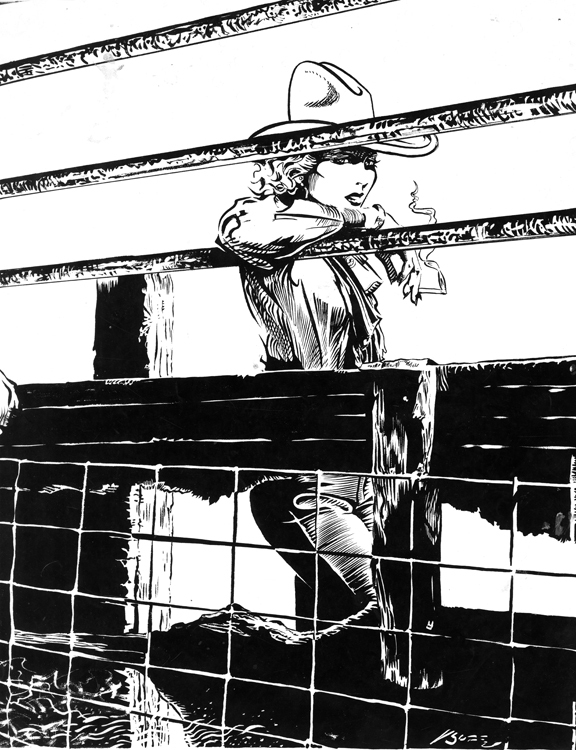 Daily Whip Out: "Mules Rule Series, #2"
Got that scene in my head and I haven't got it yet, but I will. Daily Whip Out: "Mule Rules Series, No. 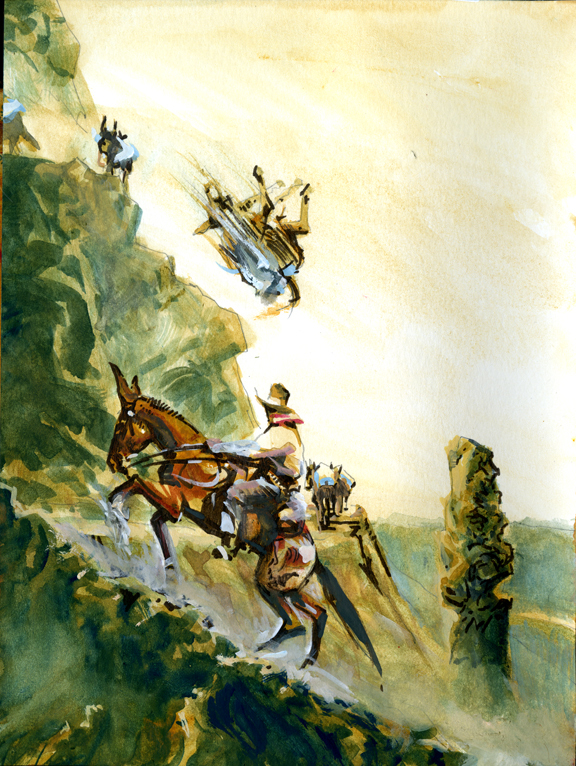 3"
A muleteer I know, related this conversion tale: "I was riding horseback on a steep trail when the pack mule in front of me got bumped off the trail and slid towards a 1,500 foot drop. 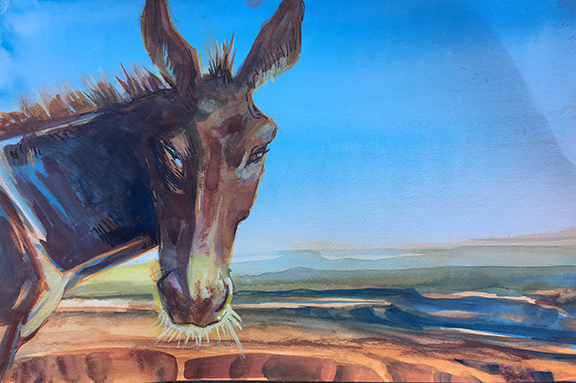 The first thing I noticed was that the mule spread out—flat—which slowed his slide, and then, with his back hooves dangling off the cliff, he literally reached out with his front hooves and grabbed rocks to help him climb back up the slippery slope. When he regained the trail, he shook himself off and went on his way. It was at that moment, I said, "I want one of those!" Daily Whip Out: "Free Fallin'"
Got a mini-controversy going regarding a great story we are going to publish in our May issue. 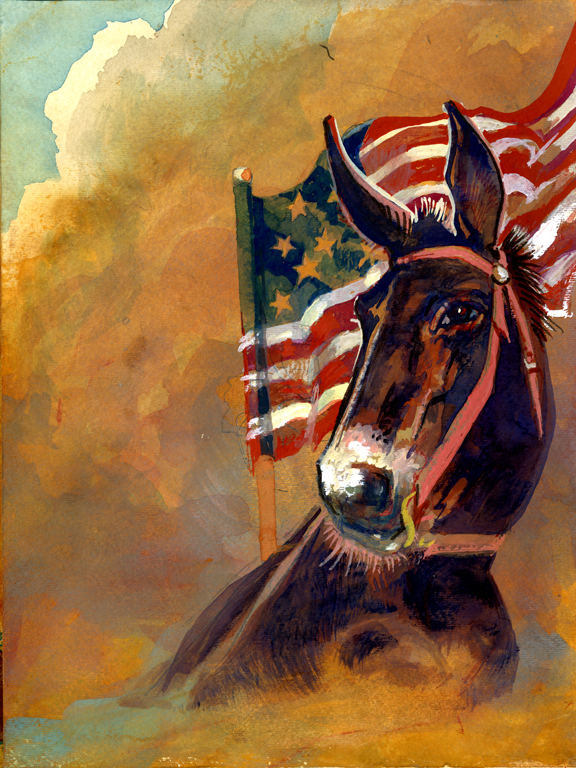 Our intrepid mule authority and writer of the main feature, Deb Kidwell, brought us a wonderful mule vs. horse story. 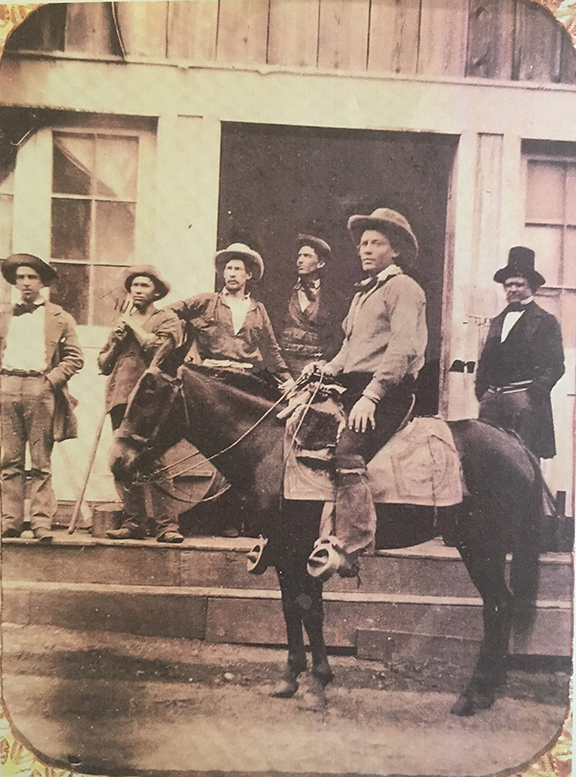 According to William F. Cody, he rode 65 miles on his trusty grey mule against Custer on his thoroughbred and not only did the mule win the race but in the morning, Cody found out Custer's horse died during the night. 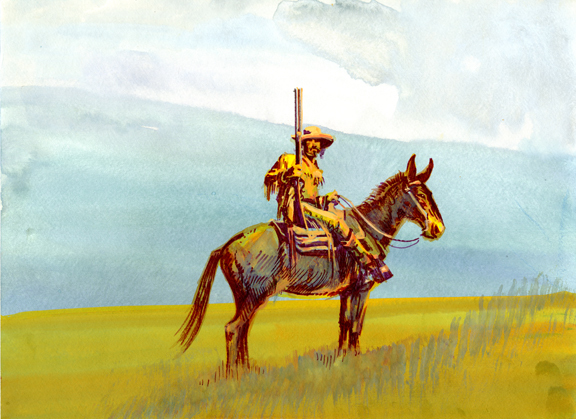 Daily Whip Out: "The Scout William F. Cody On His Trusty Grey Mule"
"There are several variant editions of Cody's autobiography and the horse dying does not appear in all of them, suggesting some press agent was trying to improve on Cody's original story." "Buffalo Bill wrote, or John Burke co/wrote, four autobiographies. The first one, The Life of the Hon. William F. Cody, Known as Buffalo Bill was published in 1879. 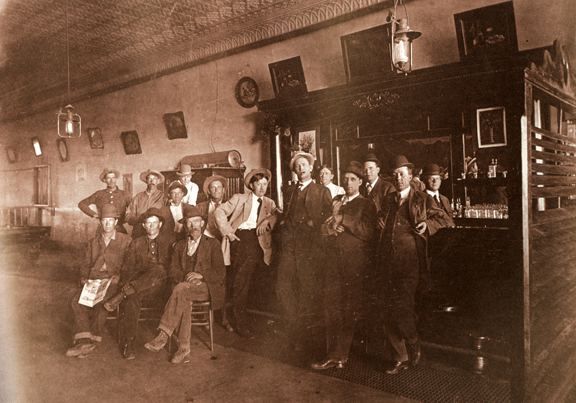 In 1888, a second edition was released, titled Story of the Wild West and Campfire Chats. This version included the narrative of the original autobiography, along with an additional chapter about the 1887 tour of Buffalo Bill's Wild West in England and biographies of Daniel Boone, Davy Crockett, and Kit Carson. Various editions of the 1888 autobiography were released. 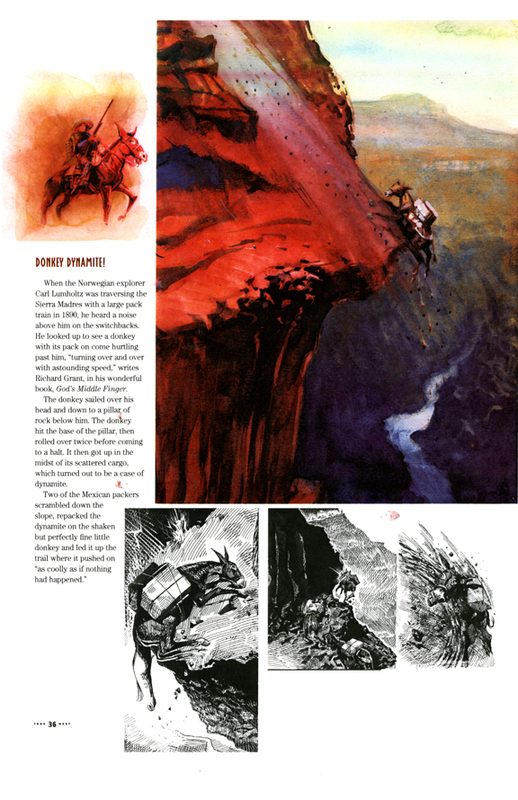 In 1908, Buffalo Bill published True Tales of the Plains, which is a historical overview of the Indian Wars peppered with anecdotes from Cody's career. Towards the end of his life, Buffalo Bill wrote a series of articles for William Randolph Hearst that were published as a book, posthumously in 1920, titled Buffalo Bill's Life Story. "Helen Cody Wetmore, Bill's sister published the biography Last of the Great Scouts in 1899, various editions and contributors, including Zane Grey, have appeared related to this work. Julia Goodman's autobiography, which was very rough and appeared later in journal form, were used for a 1950s biography of Buffalo Bill. 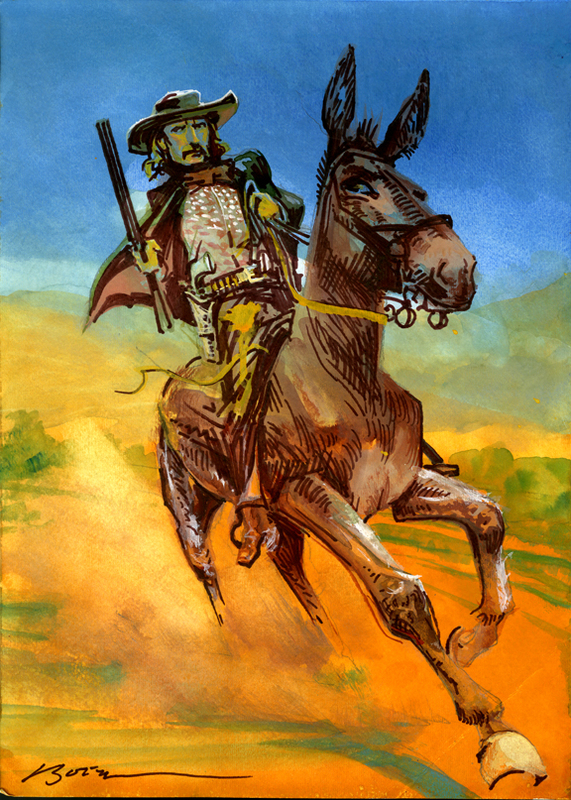 "I know the Custer mule story appears in the first, second, and last autobiography. I am not sure if it appears his 1908 history of the Indian Wars." 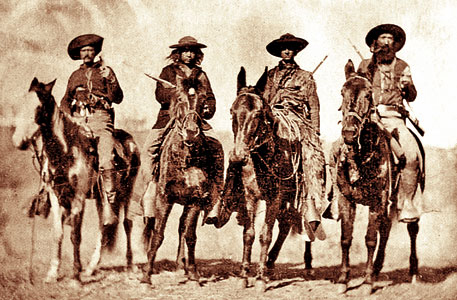 Daily Whip Out: "Custer & Cody"
In mid-1867 Bill Cody met George Armstrong Custer, when Custer needed a guide from Fort Hays to Fort Larned, a distance of sixty-five miles. According to Bill’s account in his book, An Autobiography of Buffalo Bill by Colonel W.F. Cody, Cosmopolitan Book Corporation, 1920, the following exchange took place; "I am glad to meet you, Cody," he (Custer) said. 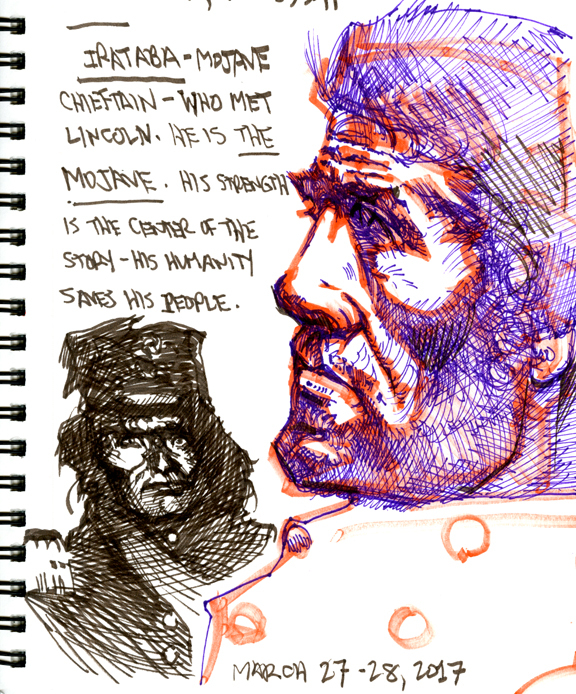 "General Sherman has told me about you. But I am in a hurry, and I am sorry to see you riding that mule." 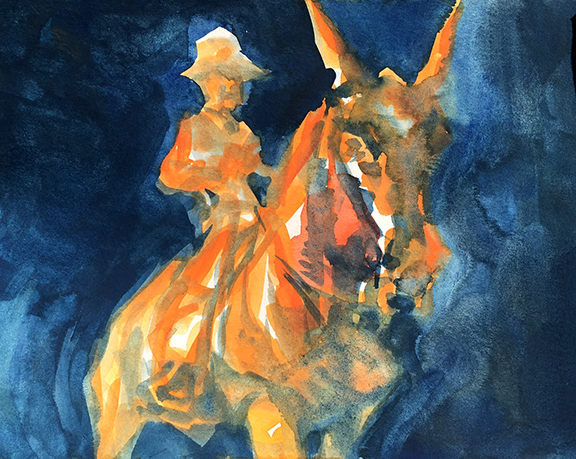 "General," I returned, "that is one of the best horses at the fort." "It isn't a horse at all," he said, "but if it's the best you've got we shall have to start." “His (Custer’s) animal was a fine Kentucky thoroughbred. 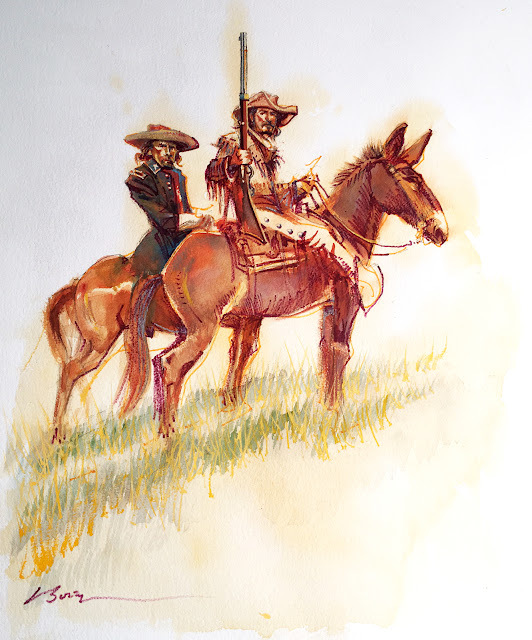 Whenever Custer was not looking I slyly spurred the mule ahead, and when he would start forward I would rein him in and pat him by way of restraint, bidding him not to be too fractious, as we hadn't yet reached the sandhills. In this way I set a good lively pace—something like nine miles an hour—all morning. 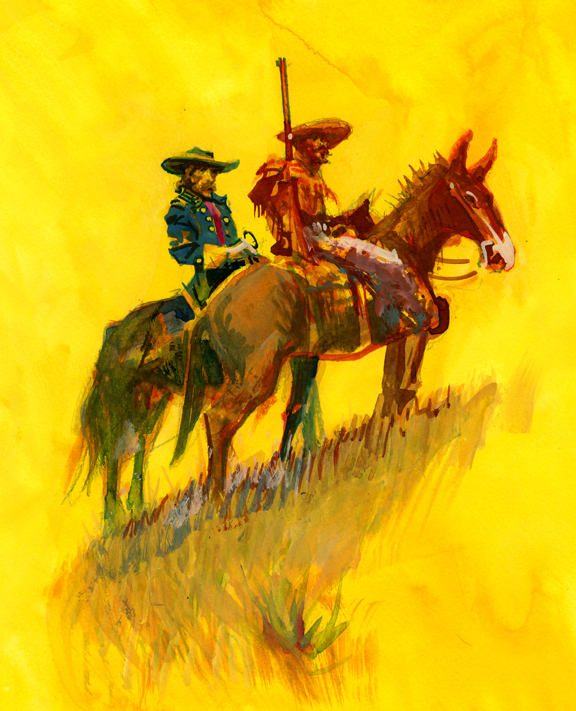 “Custer advised his captain, "I shall ride ahead with Cody," he added. "Now, Cody, I am ready for you and that mouse-colored mule." 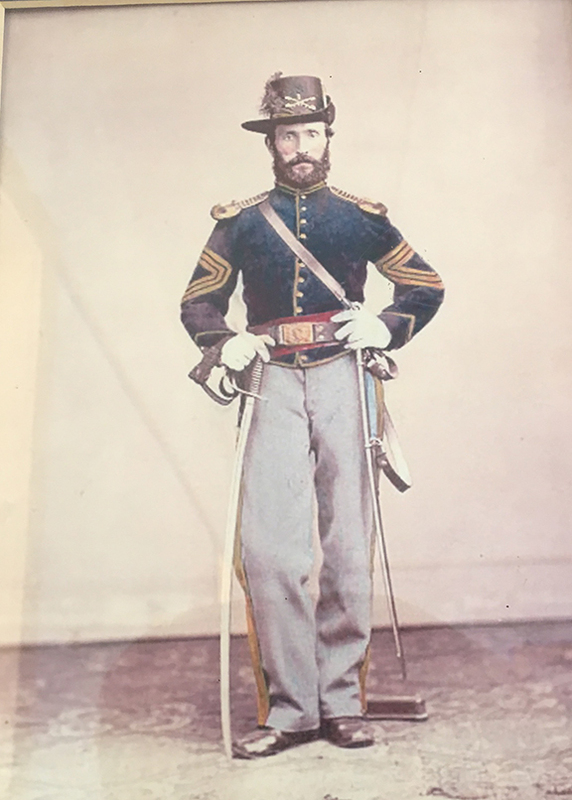 “When we rode up to the quarters of Captain Daingerfield Parker, General Custer dismounted, and his horse was led off to the stables by an orderly. 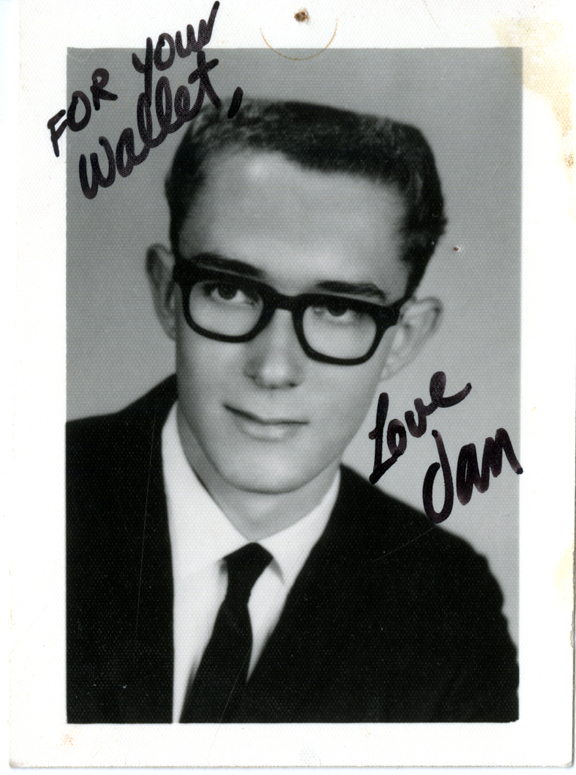 I was personally sure that my mule was well cared for, and he was fresh as a daisy the next morning. “After an early breakfast I groomed and saddled my mule, and, riding down to the general's quarters. I saluted as he came out. "I am not feeling very pleasant this morning, Cody," he said. "My horse died during the night." “I said I was very sorry his animal got into too fast a class the day before. 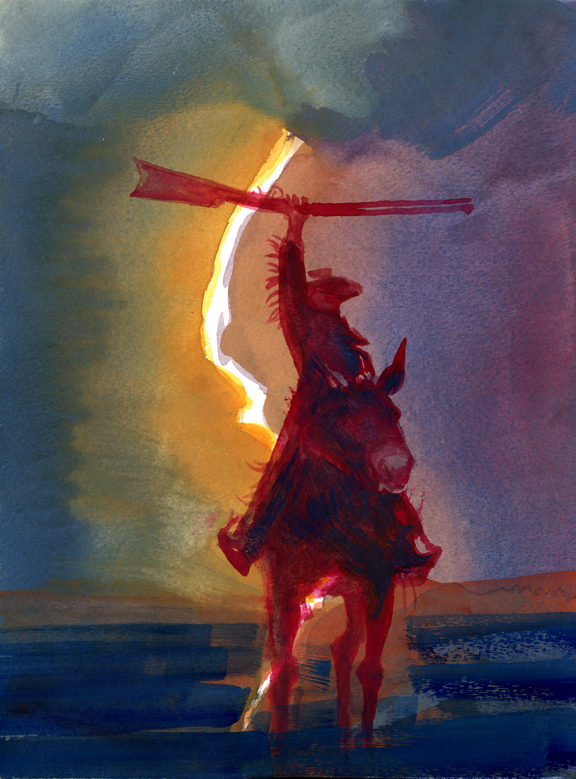 "Well," he replied, "hereafter I will have nothing to say against a mule. We will meet again on the Plains. I shall try to have you detailed as my guide, and then we will have time to talk over that race."